Last month, the EPA announced that 12 popular d-CON mouse and rat poison products will be taken off the market. Citing concerns for children, pets and wildlife, the EPA explains that more than 10,000 children a year were accidentally exposed to these harmful chemicals. The recent insurgence of bedbugs is attributed to the lack of chemical pesticides that have the power to kill the bugs without harming humans. Limitations placed on chemical pest control means there is no simple fix when it comes to curing pests around rental properties. Landlords need to be creative, and take a harder look at prevention. Landscaping is one example. It needs to do more than look pretty. Did you know that your landscaping choices could reduce the risks of pest infestations? Just like poor sanitation indoors can attract pests like ants and mice, leaving yard waste outdoors will do the same thing. Never allow debris to be piled up or left to rot outdoors. The better solution is to bag the waste, and then remove it promptly. Rotting leaves are one of the worst offenders, and create a nesting area for many pests. Arrange for fall leaves to be picked up and removed quickly before wet weather arrives. Landscaped areas need to drain properly. Pay special attention to irrigation systems, and repair leaks that cause puddles. Pooling water not only damages structures, it also creates a friendly ecosystem for dozens of unwanted pests, including flies and mosquitoes, rodents and wildlife. Shrubs provide cover for all sorts of pests. Keep shrubs a few feet away from the structure to make it less likely for bugs to venture in through cracks and other tiny openings. Avoid plantings around outdoor common areas in order to cut down on mosquitoes, flies and other pests. Mulch placed over bare soil can inhibit pest growth. Also, using mulch or rock as a physical barrier, like in between lawn and shrubs, can be enough to impede pest traffic. Old trees harbor pests, and damaged trees can cause serious injury. Keep up with maintenance, and replace trees as needed. The same is true of diseased perennials. Make sure old wood is pruned routinely, and diseased plants are removed. Many species of pests seek out dying or distressed plants. Be picky when choosing plants. Some varieties, while beautiful, are weak. Others can’t thrive in the specific location. This can change with time as trees grow higher. These plants are more susceptible to pests, and harbor infestations. Choose plants that will do well in the area, and do not naturally serve as hosts to pests. A landscape expert can suggest stronger varieties in your area that deter common pests. Gutters hold in moisture, and that attracts all kinds of bugs to the property. 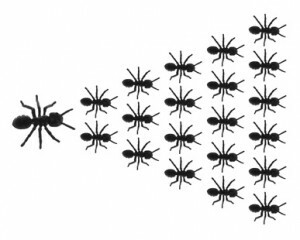 The closer pests come to the structure, the more likely they are to venture inside. Remember, many of these pests are looking for a good spot to nest and re-populate. It’s never too late to correct mistakes or make improvements so your landscaping can work double-duty, by adding curb appeal while reducing pest problems.